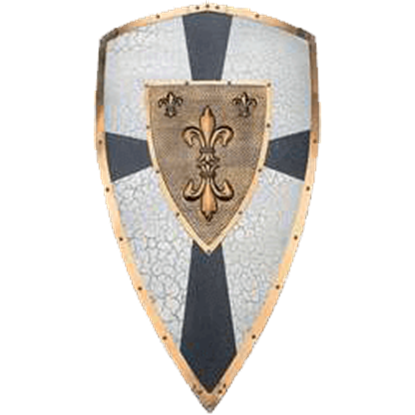 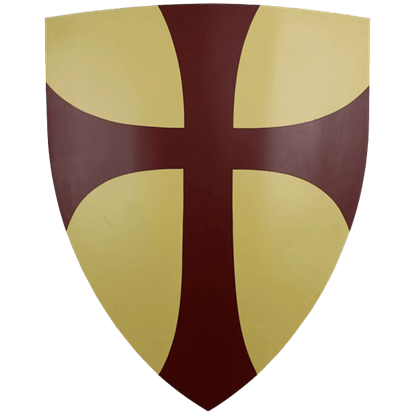 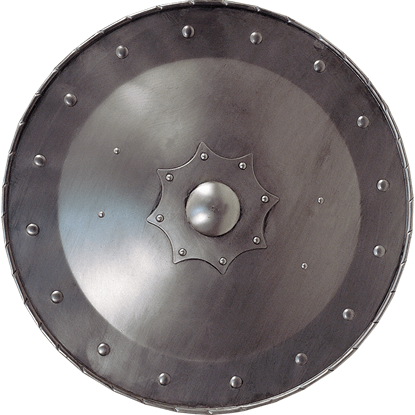 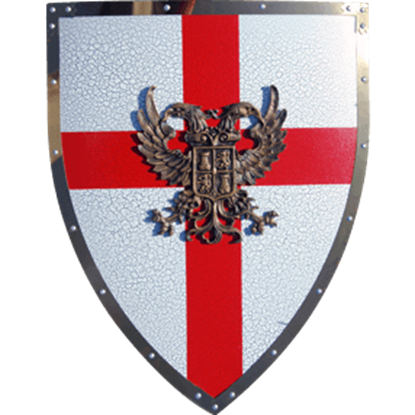 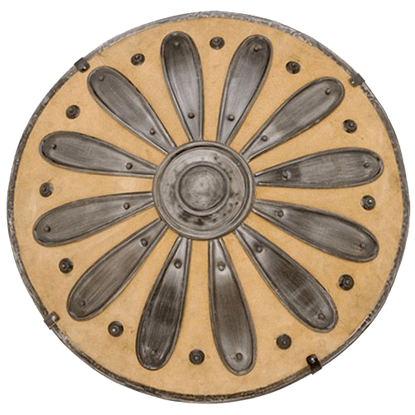 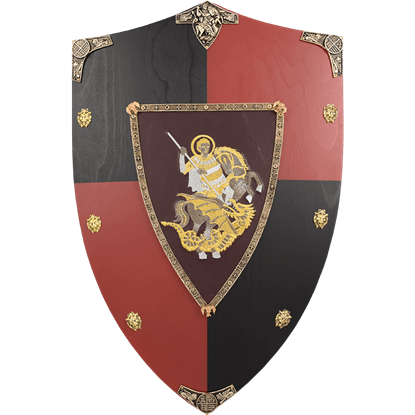 A beautiful representation of a medieval era shield called a targe, the 15th Century Round Shield is an exquisite decoration that is perfect for displaying your interest in the various equipment used in medieval warfare. 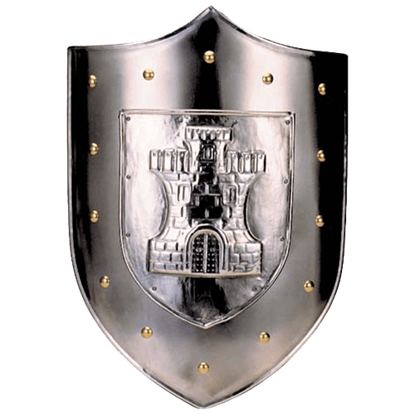 The Castle Shield by Marto is an absolutely beautiful shield featuring the intricate design of a castle on its front, as well as an astonishingly solid build of steel and gold-plated rivets. 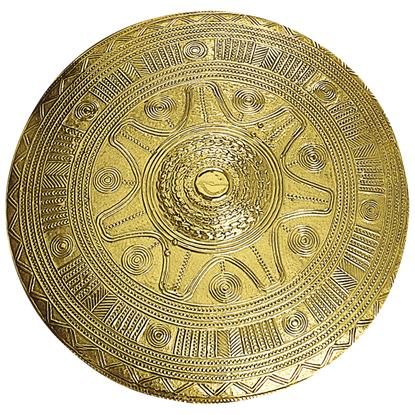 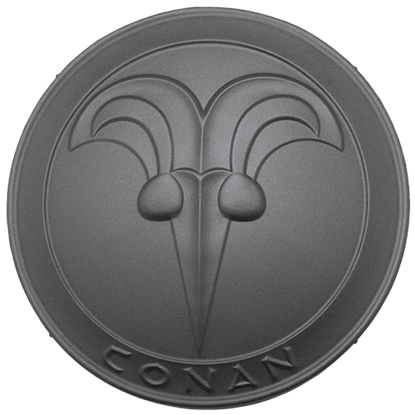 It is a great piece of medieval decor. 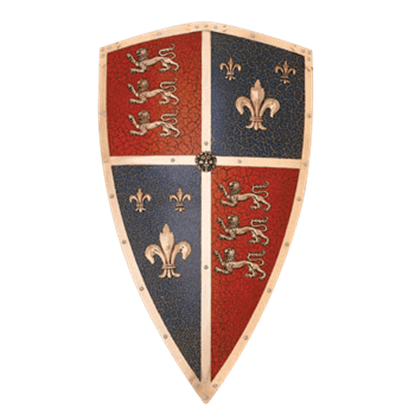 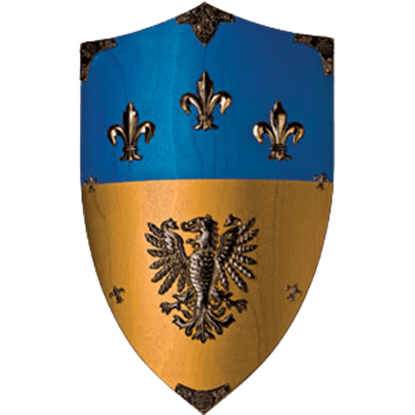 The Charles V Holy Roman Empire Shield by Marto of Toledo Spain is an ornamental triangular shield, known as a kite shield, made from steel and embellished with gold. 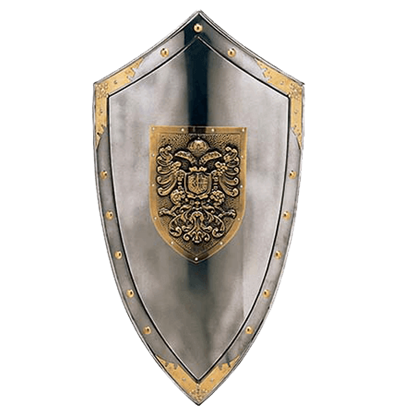 This medieval shield makes for a great home decor.